This Wurttemberg Hussar regiment was first raised in 1735 with a one squadron strength and was known as the Leibhusarenschwadron. Then in 1758 a further three squadrons were raised and the new regiment was renamed Hussars von Gorcy under it’s new French Colonel Johan Baptist Gorcy de la Martiniere. Wurttemberg was getting large subsidies from France to increase it’s army so it’s not unreasonable to guess that Gorcy (who hailed from a village of the same name in Lorraine close to the Luxembourg border and probably spoke both French and German) raised these extra three squadrons from both Frenchmen and Wurttembergers. I think the colour scheme of green and red makes this a very attractive looking unit. 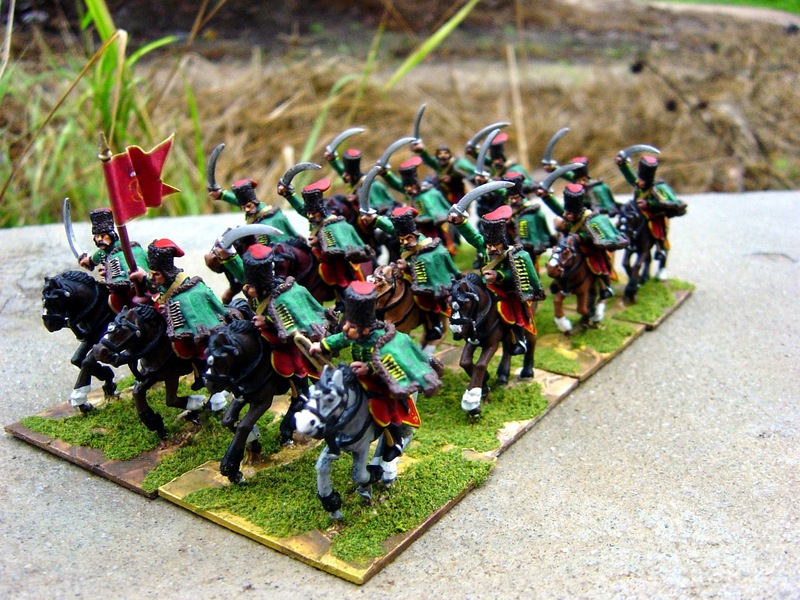 Also, I wanted to comment on painting cavalry as this is a harder job than it might look at first glance. 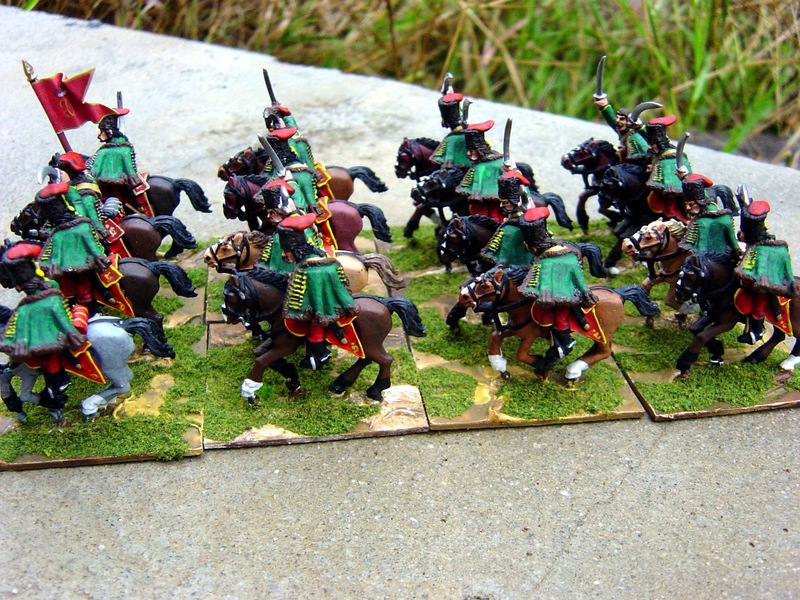 I always try to put different horses on each base and also different poses of cavalrymen. So no two combinations are the same. This involves no small amount of planning so that also no two horse colours are next to each other! 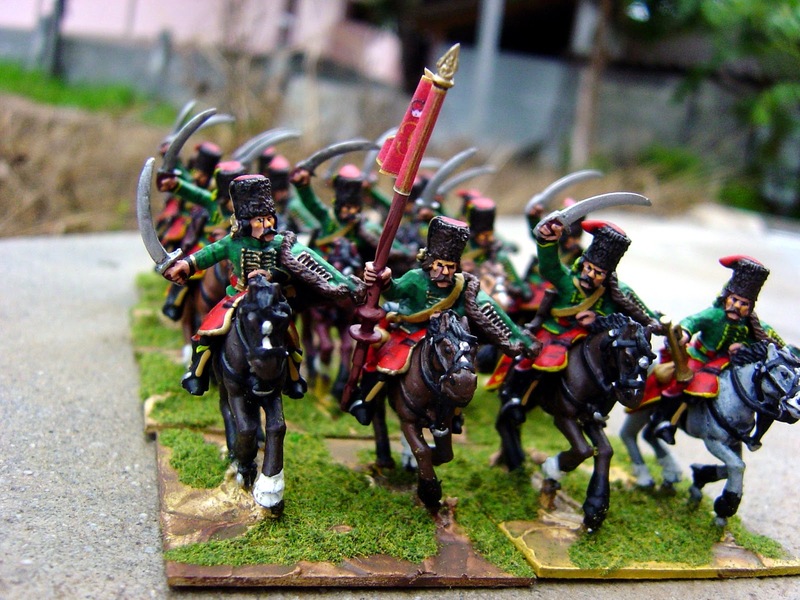 This applies to hussars and dragoons – with cuirassiers I don’t mind so much as I like them all on black horses and, preferably, standing poses. Lastly, the flag is a fictional creation. 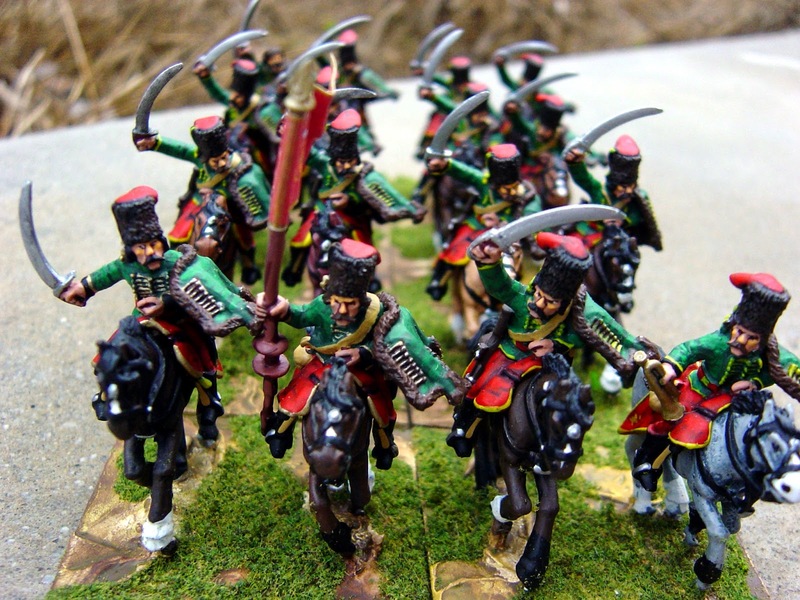 These Hussars were never issued flags. Stunning looking unit. Wonderful colors.